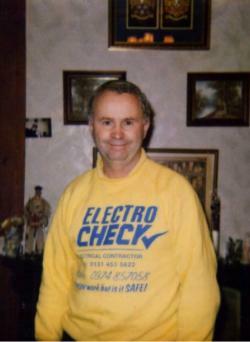 Electro Check are a family run business started in 1987 by Martin and Jane Fraser. With over 40 years of experience as an electrician, Martin is an expert at handling any electrical problem you may have - he’ll get things working again with the minimum of fuss. Our electricians provide domestic and commercial electrical services from our home premises in Edinburgh, but will travel to Fife, Scottish Borders, East Lothian, West Lothian and anywhere in the central belt of Scotland. or for a free estimate. If you only have a small electrical job to do we can help you with reasonable and competitive rates. If it is a larger project you need help with, we offer a free estimate and will always charge a fair price for the work we do. See our contact us page to send an email direct or phone us on 0131 453 5622 for an estimate. As a small business we believe in supporting our local community and are actively sponsoring local concerns in Edinburgh and Scotland. Martin and Jane Fraser believe in supporting their local community and a charity close to their hearts, and are currently sponsoring the following organisations. 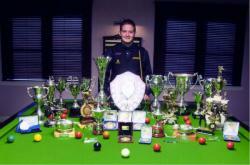 They are currently supporting the Scottish amateur snooker under 18 and under 21 champion Michael Leslie based at Bonnyrigg Snooker centre. 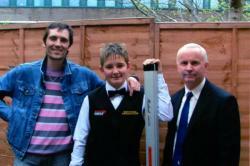 They are long standing supporters (25 years) of the Scottish Muscular Dystrophy Society.